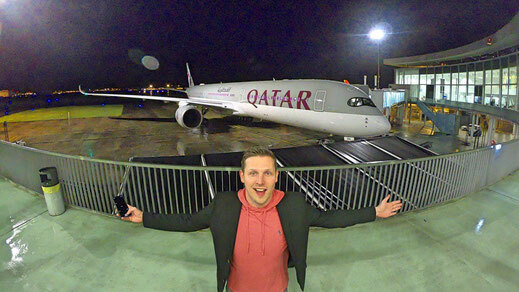 I was recently invited by Qatar Airways to be part of the world's very first A350-1000. 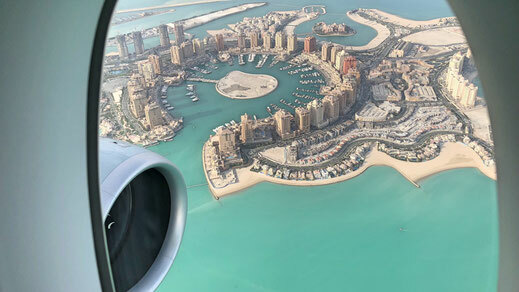 The airplanes ferry flight to Doha. 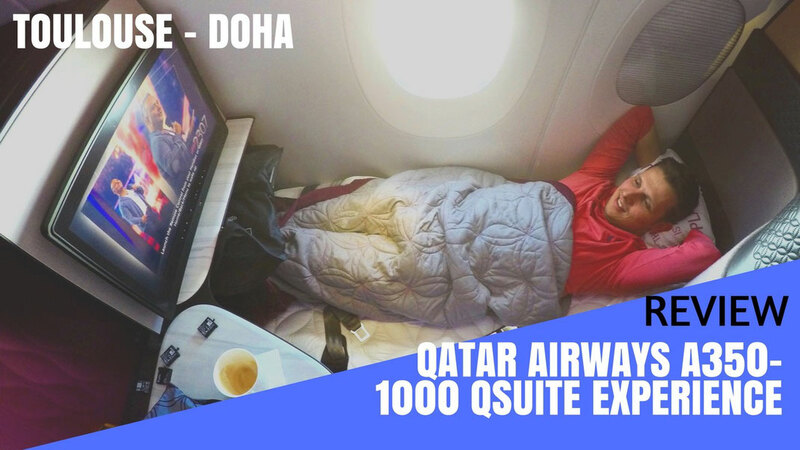 It was an exceptional experience and it also gave me the chance to review the famous Qatar Airways Qsuite. 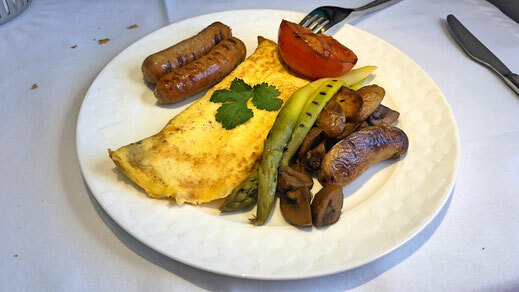 They say 'First in Business' and I can totally agree that this must be the best Business Class product I have ever experienced in my life. 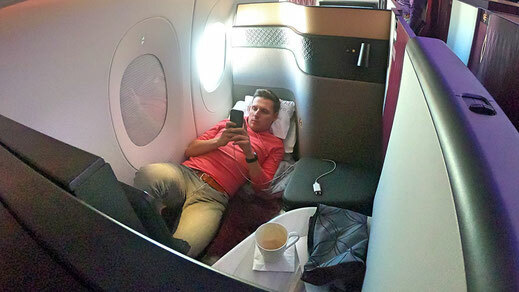 If you don't want to read the review (I know, too many words) you can just lean back and enjoy my video report which gives you a detailed inside of what it's like to travel on Qatar Airways Qsuite Business Class. 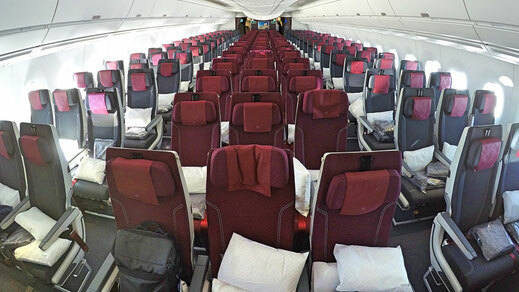 The first thing you will notice is the increased privacy each seat has in comparison to the older Business Class. That's mainly due to the new doors each suite has. Also the LED mood lightning has reached a new level. 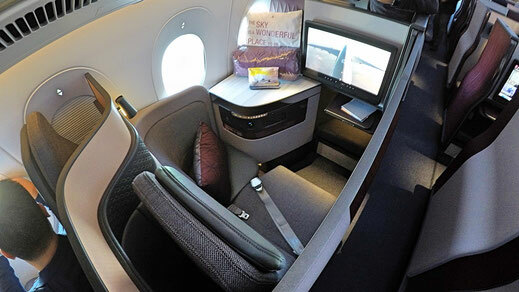 The Business Cabin features 46 Suites with 9K being my favorite seat. I had a proper window seat, which is rear facing and closer to the window, and I liked that seat a lot. The crew prepared my bed for me and the extra bedding made the sleeping experience one of a kind. Also to your left you have a compartment with generous space for your belongings. The screen in front of you is decently sized and I found it to be very responsive. The Oryx entertainment has been improved a lot as well with more movie options. Also the internet speed was increased dramatically. 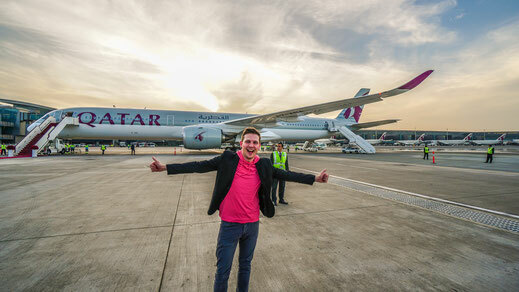 Qatar Airways also claims that it is the fastest internet in the skies. 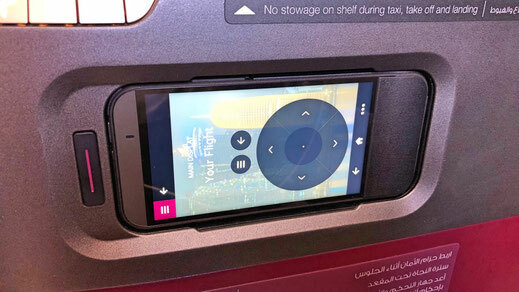 You get a 20MB allowance for free on every QR flight that offers onboard WiFi. 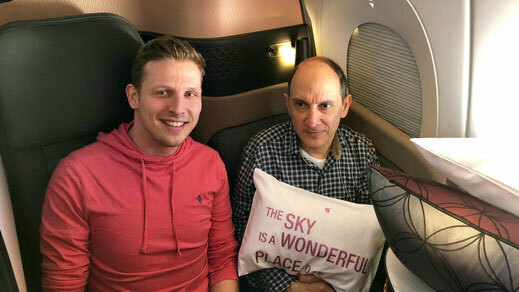 The CEO has recently revealed that the airline is working on a new Economy Class but until then you still have to fly with the current seat which I find extremely comfortable already. They are spacious, comfortable and great in design. 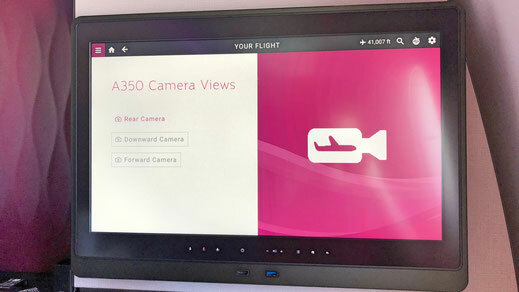 The A350-1000 offers 281 seats in a 3-3-3 configuration. 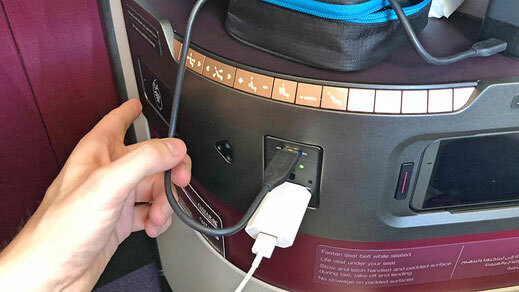 Every seat offers a personal entertainment screen, WiFi, a power socket as well as an USB slot. I'm a huge fan of the new A350-1000 and I would always prefer it over the 787 Dreamliner. 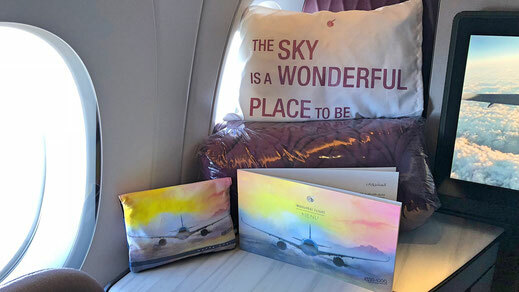 The reduced cabin noise, also the advanced air system technology which delivers optimal cabin air quality, renewing air every two-to-three minutes is noticeable. 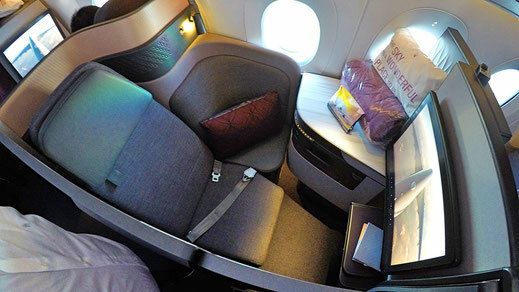 The cabin has improved a lot as well in comparison with the A350-900. It's a new generation airplane and you noticed it the moment you board the airplane. 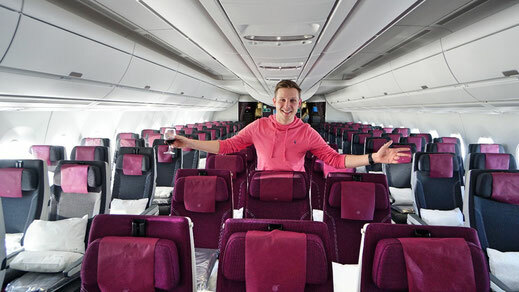 It's a direct competitor to Boeing 777 and I can't wait to see more in service soon. 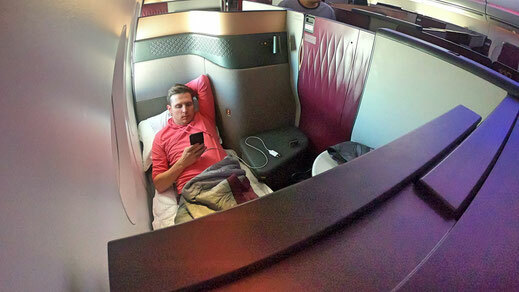 You can never go wrong booking a flight on Qatar Airways Qsuite. It's a piece of art and probably the most comfortable way to travel. 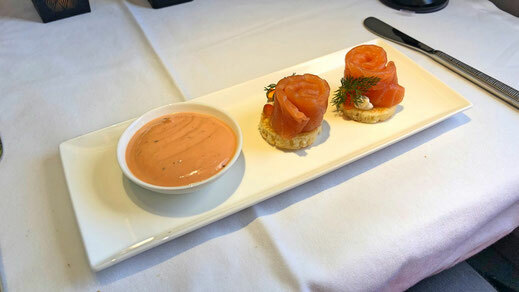 I'd even go a step further and say that I enjoyed this product more than Emirates First Class Suite. Of course it doesn't have a shower but so many more perks I enjoyed. 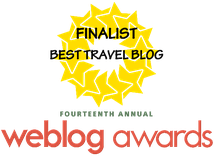 Without hesitation, I would fly on the Qsuite any time again!